and take advertising to a whole new level. Leading Outdoor's state-of-the-art LED technology provides more colour and vibrancy than traditional billboards. Our concave screens are of higher resolution than all other outdoor providers in the affluent, thriving Calgary marketplace. 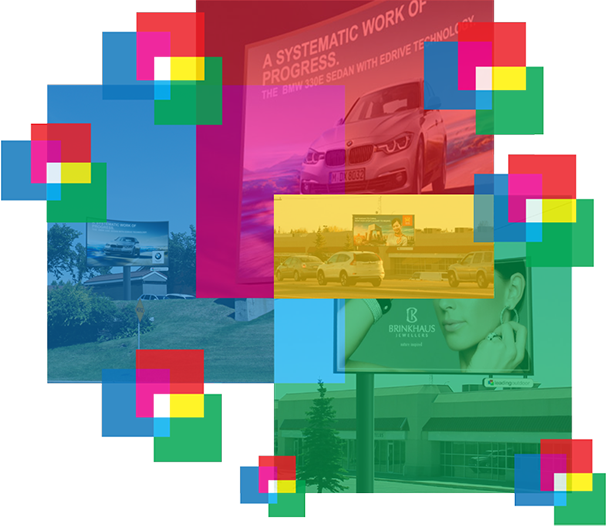 We deliver millions of impressions monthly with brilliant colour and vibrancy, from our digital displays across an extensive array of prime locations. Outdoor advertising is better than any other type of advertising for its ability to communicate ideas at the lowest possible prices. Additionally, outdoor advertising is the only type of media with constant 24/7 exposure. Repetition is key when you are working to increase your brand awareness, launch a product, or simply want to get your message across. These can easily be accomplished with digital outdoor campaigns as they provide the lowest CPM (cost per thousand) than any other medium. Leading Outdoor's stunning concave displays create a potent visual experience that will catch and retain the attention of the coveted commuters and pedestrians. © 2019. Leading Outdoor. All Rights Reserved.